This year the World Freshwater Spearfishing Championship held at Lake Mead, Las Vegas, Nevada, USA. Team Australia went over to compete in the comp which runs over two consecutive days. Day 1 consists of Unlimited Striped Bass only; this fish is awarded 3 points per fish with unlimited size and take, weight is not awarded. 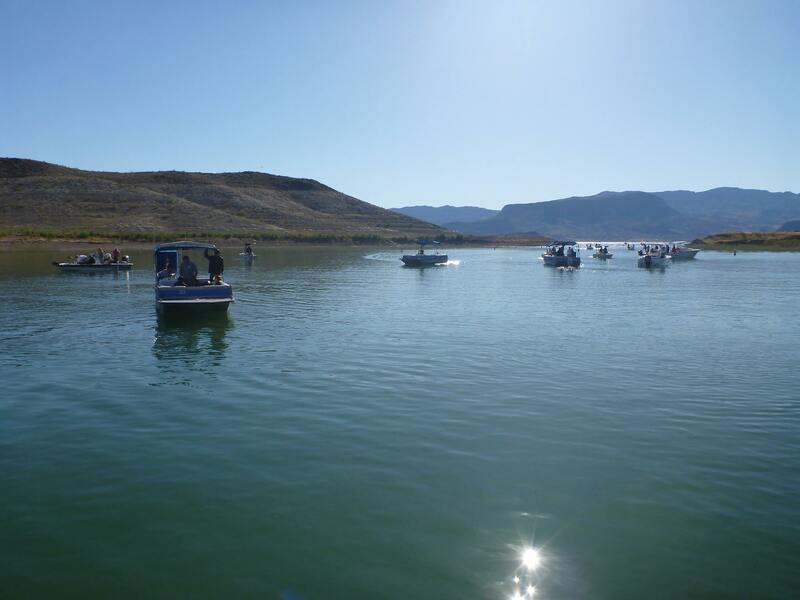 Day 2 is Unlimited Carp only, which are very common and abundant in Lake Mead. Although these are very easy to shoot entrants must shoot over 100 fish to be competitive. Carp will be awarded 1 point per fish and no points for weight so quantity is how you win Day 2. Note - Both these fish species the Department of Wildlife would like to removing- control in this lake. All fish will need to be iced down as they will be used for a food source. Your largest fish from each day will be weighed for the big fish awards and as a tie breaker. 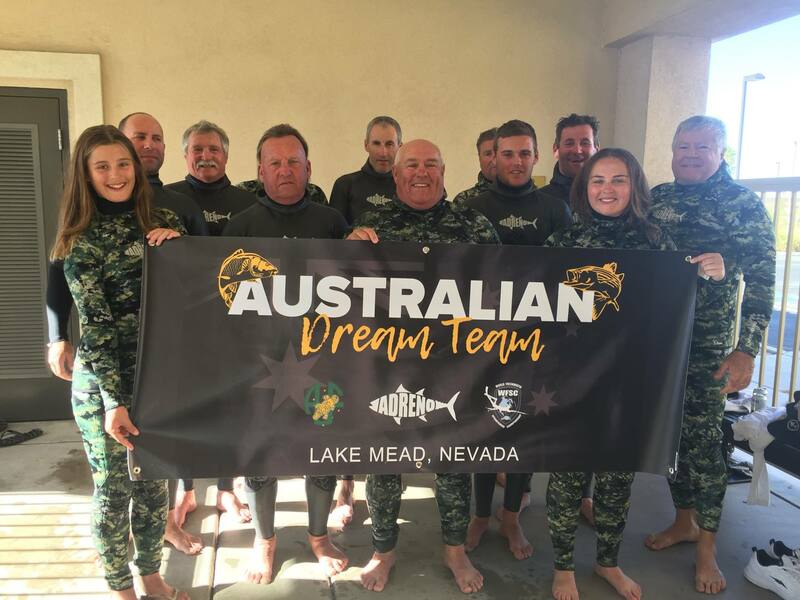 Team Australia participated in location scouting on the lake the day before the competition, also upgrading their competition boat to accommodate an additional diver and skipper for the competition. During the first day of competition the wind changed direction during which made fish scarce, but the Australian team did great considering the circumstances. Graham finished up 3rd in the Individual Men’s, Peter and Mac did well to place fourth in the Men’s team and Graham and Bob in eighth place, Joe and Taylah are 7th and Craig and Bree in 10th in the mixed team division and finally Gunther is 3rd in the Masters. Day 2 was tougher than ever with copious amounts of fish seen on the scouting day before competition the Carp were nowhere to be seen in near glass off conditions. Australia performing well, achieving awesome results against some tough competition from around the world in some tough conditions. Australia also took home the Biggest Carp in the Men’s division (Peter) and Biggest Striped Bass and Carp in the Master’s (Gunther and Kevin). Australia put on an excellent show and dominated the Master’s division. During the event, there were 67 competitors competing from 13 different countries. Day 1 saw 145 game fish caught and Day 2 saw 1603 carp caught total of 10600 pounds / 4818 kilos. 2 world records were also set by women. Can’t wait for New Zealand 2019!